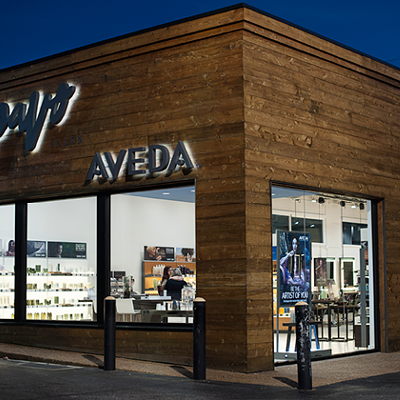 For over 15 years, Pavo Salon has served the Memphis community. 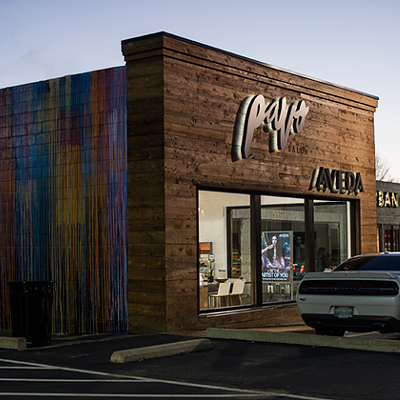 The long-standing location in Laurelwood Shopping Center has been the base for their continued growth, but Scot contributes Pavo’s success more to their “intention,” developing great relationships for strong retention in guests as well as staff. “The best compliment we receive is how friendly, helpful, educated, and committed our staff is and that our environment leaves you feeling warm and relaxed,” Scot continues. 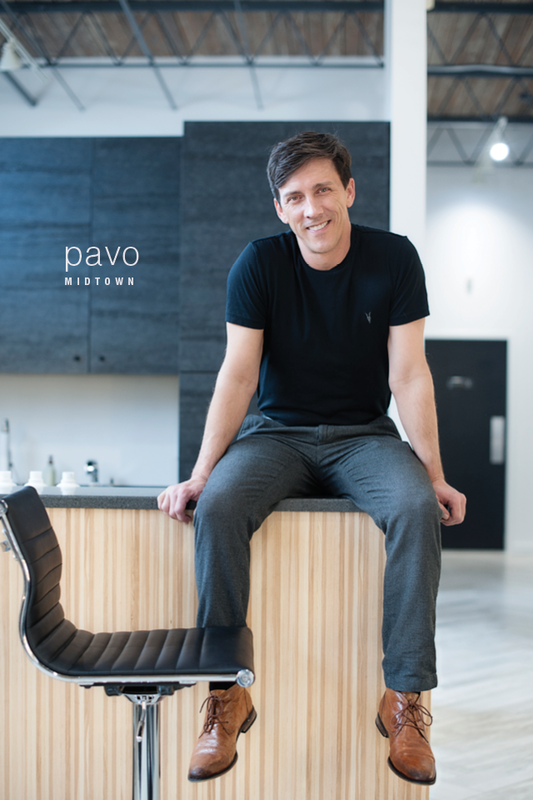 The Pavo brand has aligned with a purpose for a “sustainable, socially responsible culture,” understanding that they can make a positive impact in seemingly small ways. 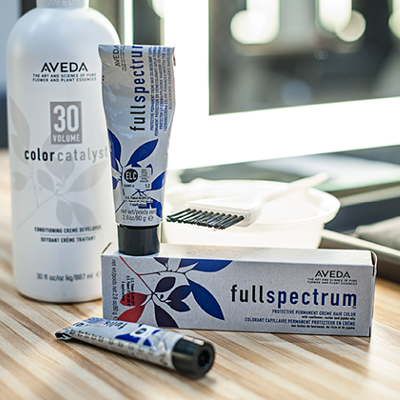 Another layer to their quality of service is the longtime decision to be an Aveda lifestyle salon. 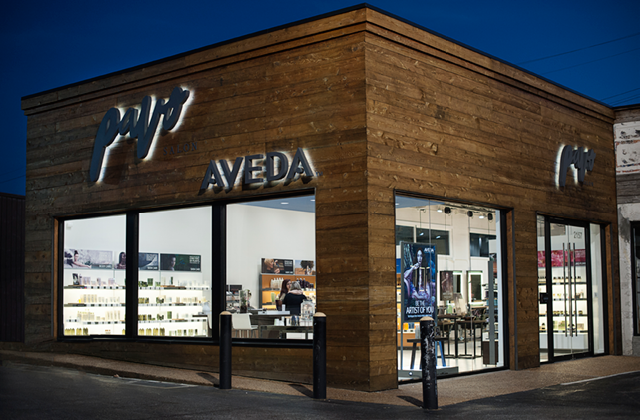 Co-branded with Aveda, Pavo is committed to using only Aveda in their services and performing at a higher level to achieve this partnership. 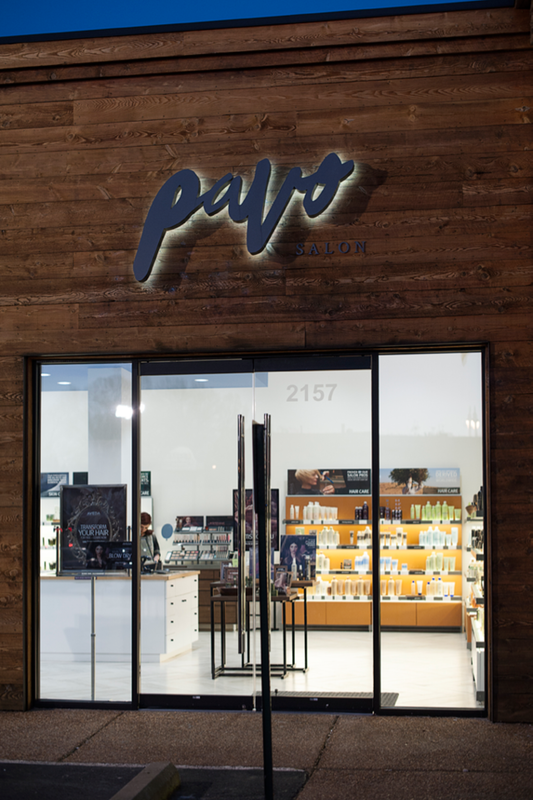 The retail component of Pavo strengthens this idea of being a lifestyle salon, bringing in products such as make-up and skincare. 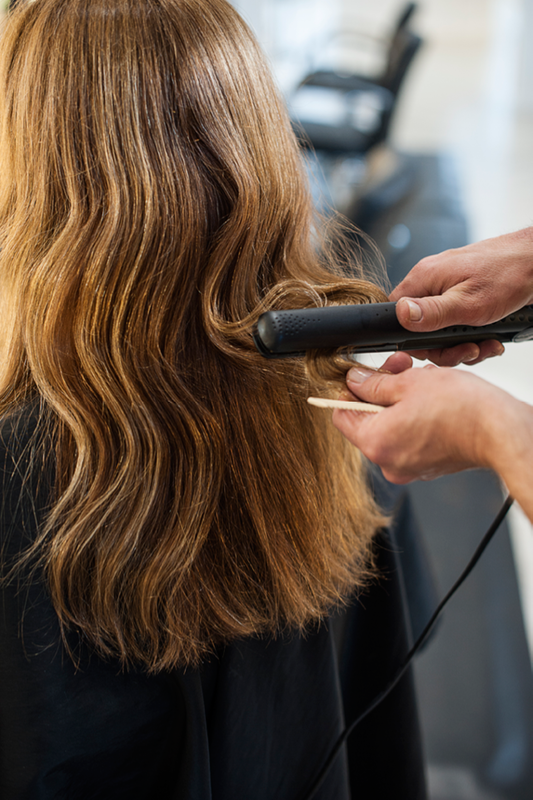 All these things have helped them grow with some recognition, most notably as one of the Top 200 salons as voted by Salon Today. 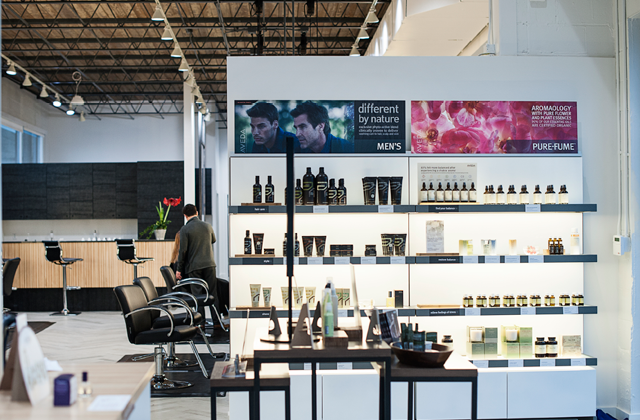 The idea of a second location was a natural step in expanding their brand. 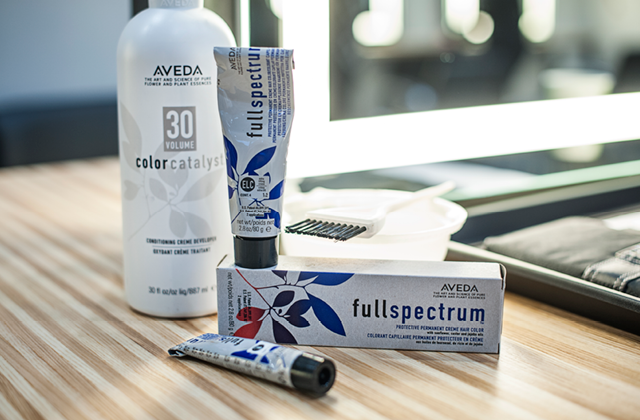 “We have talked about expanding our brand for a long time. As they say, timing is everything. Memphis is seeing some good growth currently and we are excited to be a part of that! I began my career in Midtown so it was a coming home, so to speak. We have had a wonderful influx of new guests and look forward to establishing new relationships in yet another community in Memphis!” says Scot. "There's such a unique energy and diversity to the people that choose to live here and we wanted to be a part of that. 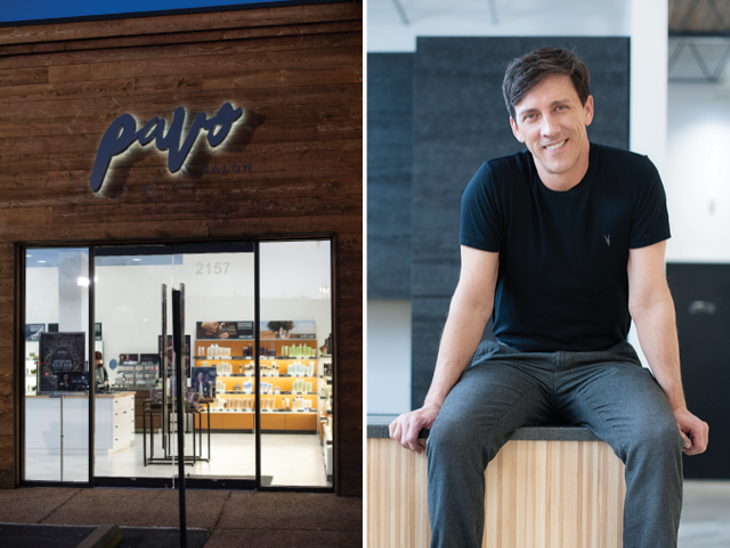 Pavo is a natural fit during this time of growth and expansion of Midtown. As more upscale retailers are moving in, we thought this was perfect timing for expanding our business into this area,” he says. 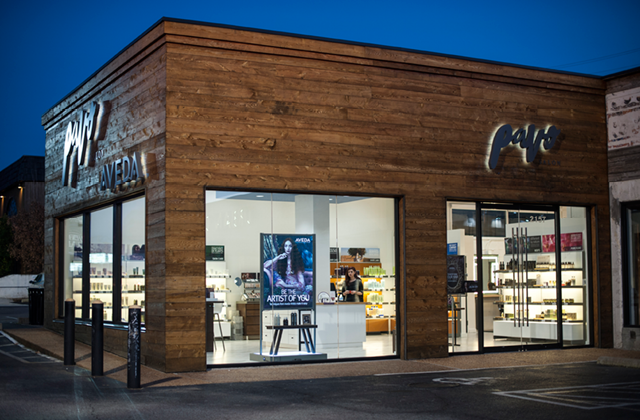 The exterior of the building had been previously clad in wood slats that was complemented with a bright interior. The interior design was something both Scot and Shawn were involved in. “Shawn and I both love to design. We knew most of what we wanted on the front end. Shawn is more the spacial person, whereas I tend to love color, texture and finishing details. We sought out the help of Graham Reese Design Group to help put all the elements together.” Scot explains. “Scot and I wanted a space that was as functional as it was beautiful. Because this is such a visual profession, we knew that we needed plenty of natural light so that our team can perform their best work. 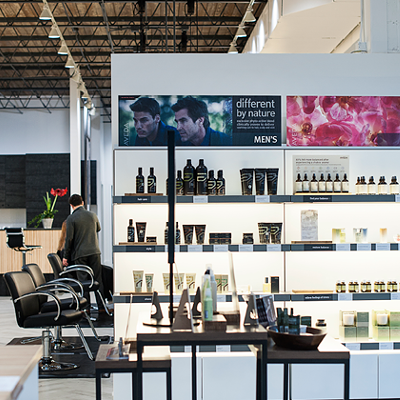 We also have removed the traditional front desk that most hair salons have. We did this because we wanted to remove the barrier between the guest and the employee. We want to be sure that our guests have a very interactive, personal experience with each of our employees,” Shawn adds. 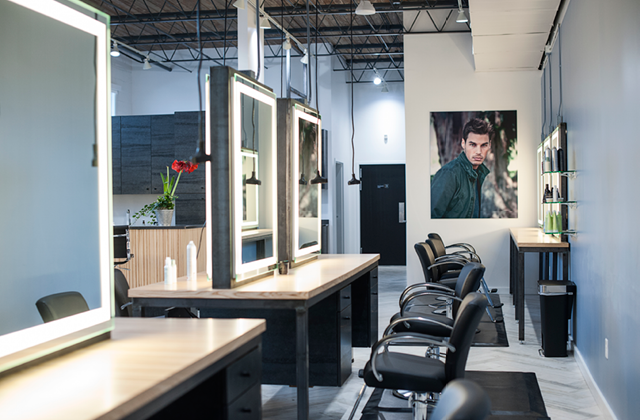 With the sleek tile floors that Scot decided on before they even had the space, the nicely lit interior sets the stage for the true focus of the space – helping clients look their best. Drawing inspiration from various mediums such as nature, runways, fashion magazines, and architecture, Scot adds in a bit of an edge to his classic style. 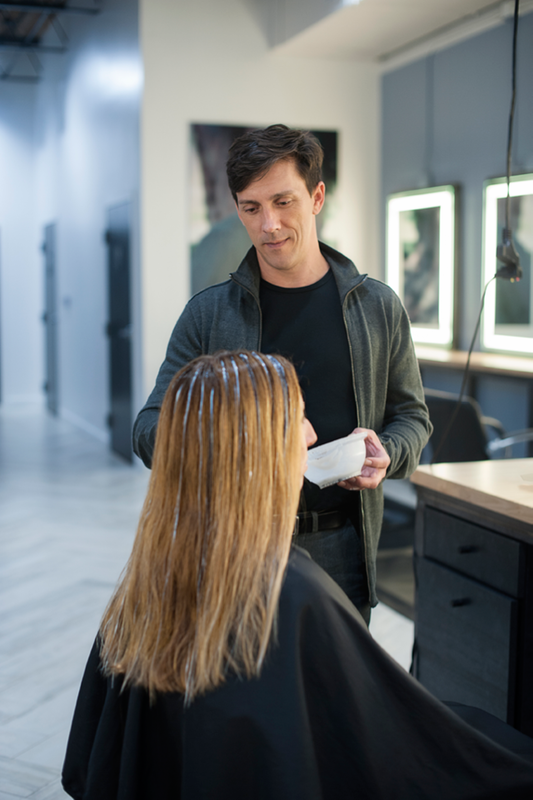 “I'm always willing to create something new for a client but that doesn't always mean the latest 'Pinterest' hair,” he says. Shawn has been Scot's business partner since 2000 but has known him his entire career in the industry. 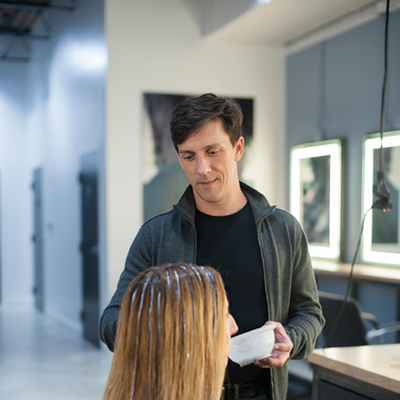 “Scot is unique in that he is an accomplished hairstylist and a natural leader, which in this industry is rare. 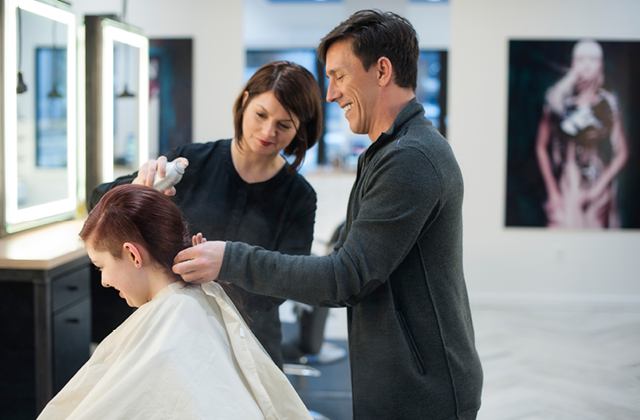 Being a good hairstylist and a good leader are two separate skill sets entirely, and Scot can do both with such ease. Scot is very good at identifying people's strengths and using those strengths to support the business,” Shawn says. This particular day I visited, Scot was working on highlighting, cuts, and styling for clients, one he’s had for a client for 24 years. “Micah has this beautiful natural golden copper hair that loses its vibrancy in the fall and winter. I chose to do a hair painting technique with a lighter golden shade and a medium copper. 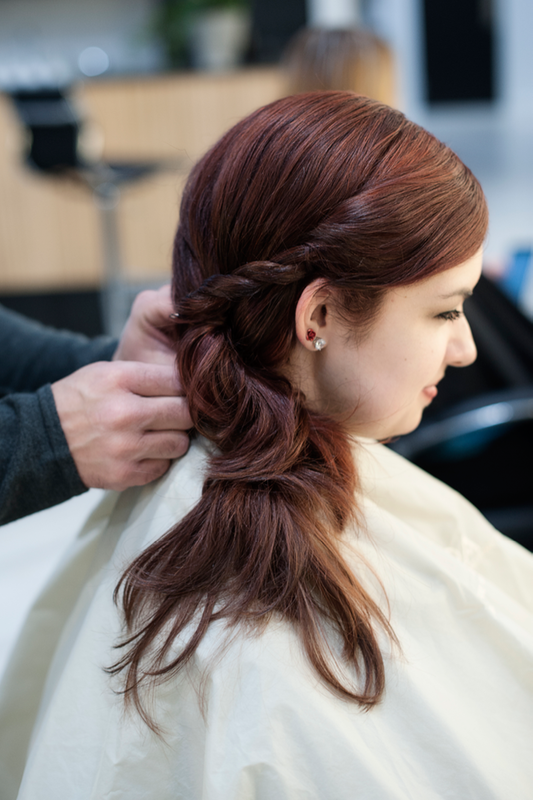 Hair painting is a surface technique that can allow very natural looking color with a bit of a lived-in effect. I like the artistry of a free-handed technique, it allows you to be as subtle or as bold as you wish,” Scot explains. Scot and Pavo is also gearing up for their 5th year as a sponsor for Memphis Fashion Week. Abby Phillips, Director of Memphis Fashion Week, noted that Pavo has been the exclusive hair sponsor since year 1. 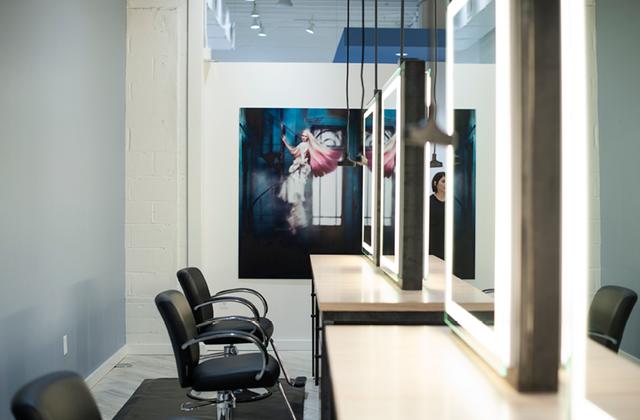 “Pavo Salon was a natural fit when I started Memphis Fashion Week in 2012. The creativity that Scot and Shawn bring to the table is like none other. They make our models feel comfortable and make my job of putting on the shows much easier. 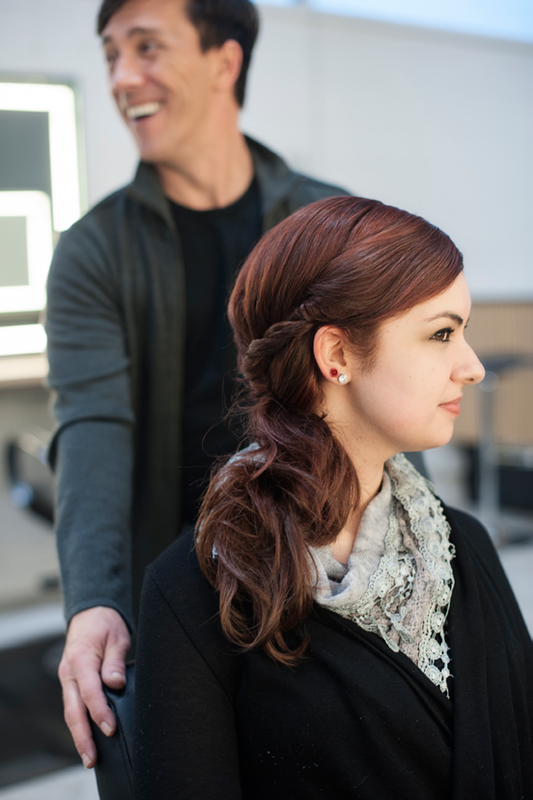 I know that Pavo Salon will create beautiful looks that make a huge impact on the runway,” says Abby. “I sit in on model selections. I have met with emerging designers to discuss the look they want to achieve and worked with major designers to ensure their vision is told. We have had such a wonderful experience working with Abby Phillips and all those connected to this event. Abby truly respects our team's creativity and allows us to push our boundaries each and every year. We look forward to another successful year!” Scot exclaims. 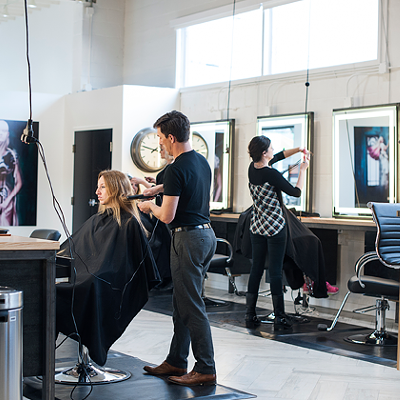 Pavo currently has a $20 off any service for new guests. You can take advantage of this offer by liking Pavo's Facebook page and redeeming the offer. For every Elemental Nature Facial that you receive in February, guests will get a complimentary skincare starter kit. Every year Pavo raises money for clean water. They partner with the Tennessee Clean Water Network, and over the course of the last few years have raised over $40,000. They are pleased to have two of the first water bottle refilling stations being brought to the Memphis area in their name — one at Shelby Farms Park and one at Tom Lee Park. 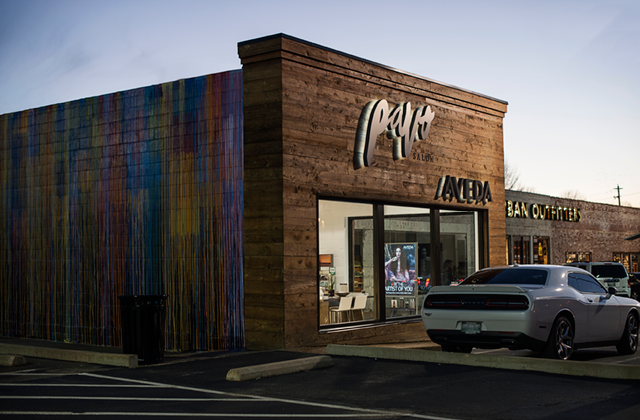 Plans for this year's fundraising are currently underway and will be tied in to Pavo's Grand Opening. Pavo will pre-sell tickets only for this event, so stay tuned.